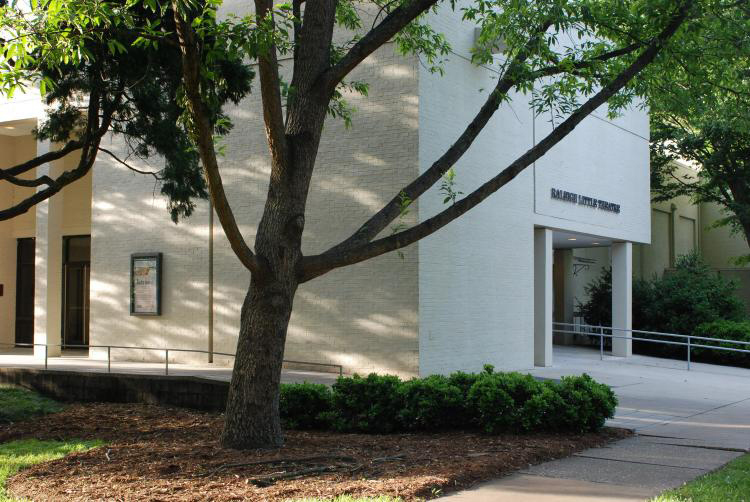 The Raleigh Little Theatre, organized in 1936 as an outgrowth of the Works Progress Administration's Federal Theatre Project, stands at the edge of the best-planned, best-integrated, and best-preserved of Raleigh's park spaces. 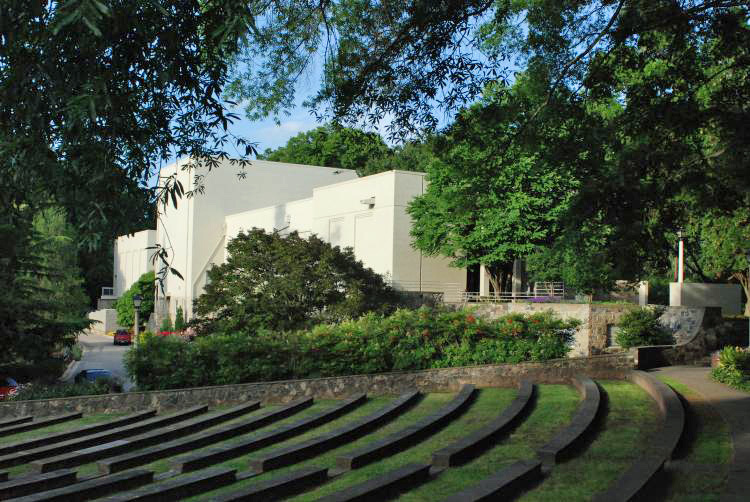 William Henley Deitrick donated the initial design for the theatre and garden complex; landscape architect R. J. Pearse designed the amphitheater and adjacent landscaping. Architect Thaddeus Hurd prepared the working drawings for the theatre and his classical lines represent one of the earliest local examples of stripped-down modern classical style. 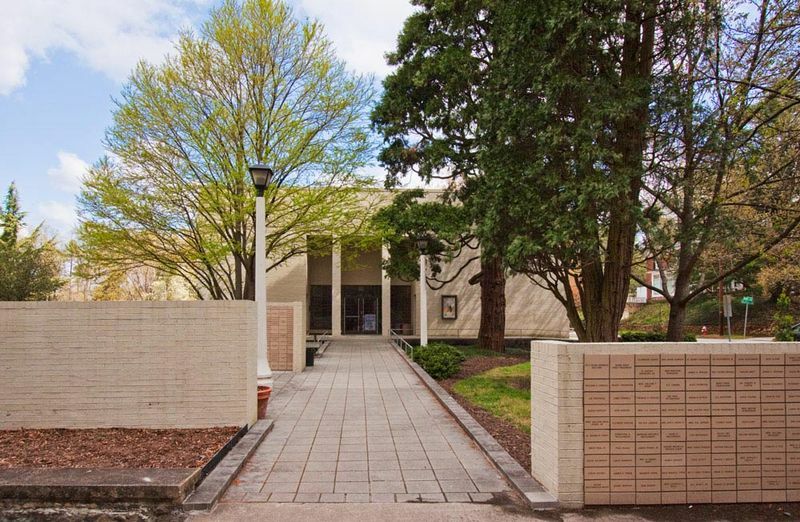 Local architect Brian Shawcroft designed the Gaddy-Goodwin Teaching Theatre, built at the north end of the existing theatre in 1988-1989. Raleigh Little Theatre, 2010: Image courtesy of A. Neifeld, Capital City Camera Club. 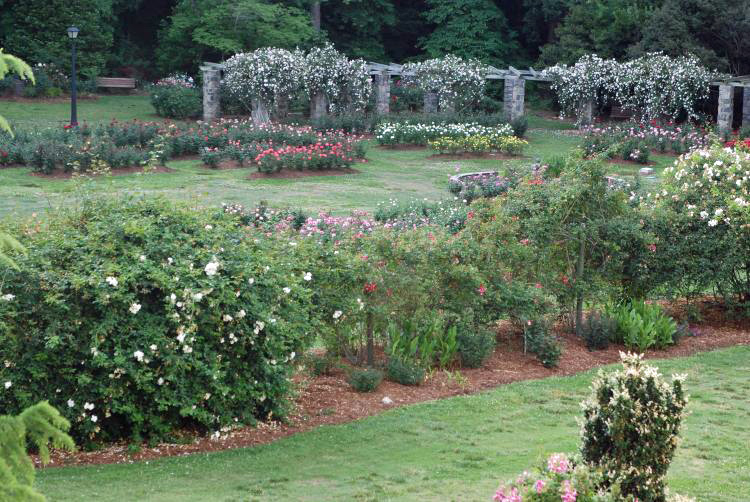 Raleigh Little Theatre/Amphitheater/Rose Garden, 2010: Amphitheater. Image courtesy of A. Neifeld, Capital City Camera Club. 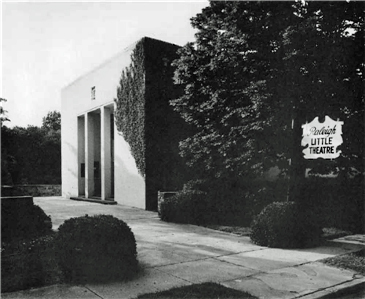 Raleigh Little Theatre, date unknown: Image courtesy of the Raleigh Little Theatre. 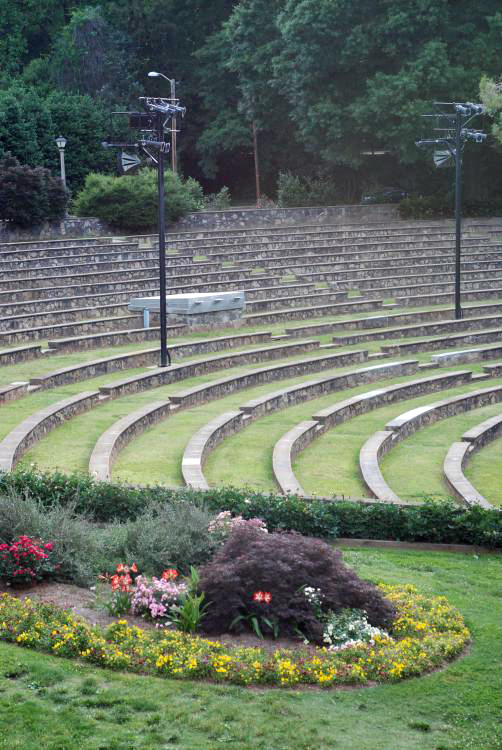 Raleigh Little Theatre Amphitheater, 2008: Image courtesy of the Raleigh Little Theatre. Raleigh Little Theatre, 2008: Image courtesy of the Raleigh Little Theatre. 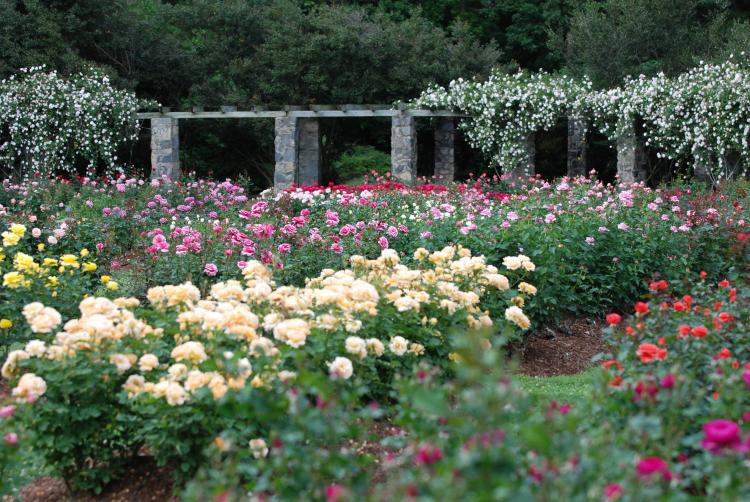 Raleigh Little Theatre Rose Garden, 2008: Image courtesy of the Raleigh Little Theatre. 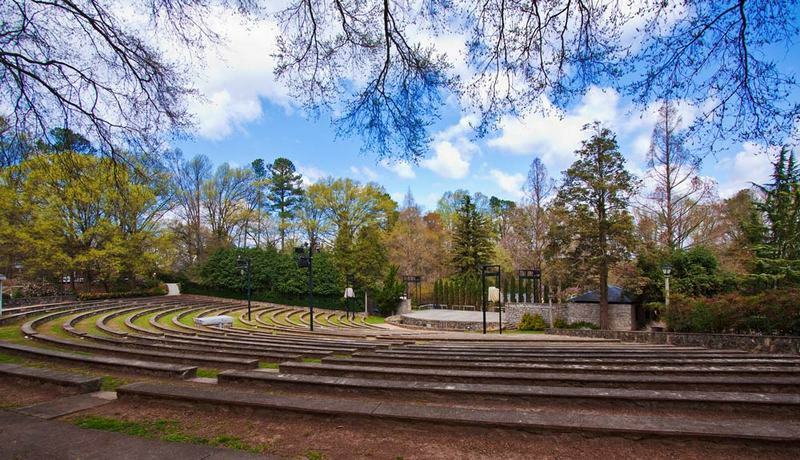 RHDC, “Raleigh Little Theatre/Amphitheater/Rose Garden,” Raleigh Historic, accessed April 20, 2019, https://raleighhistoric.org/items/show/73.